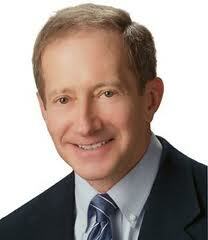 Recently our district had the honor of hosting Dr. Tom Guskey from the University of Kentucky, College of Education. His presentation to our district faculty and staff was on the topic of Standards Based Grading and Reporting. As I sat in the auditorium, as close as I could get to the front…I listened intently to deepen my understanding of this practice and also to have my own thoughts validated! I took notes during the presentation in hopes of later rereading and synthesizing all of the important points of Standards Based Grading & Reporting. “Method follows purpose.” Determine the purpose of a grade and then the best method of reporting. “Grading Criteria: Product, Process, Progress. Problem if they are all lumped together.” Pull them apart to measure each area separately. We need to understand the WHY…FIRST!! We need to put our parents and students understanding first! We are in the business of learning so we need to start measuring it. We are professionals and need to start trusting ourselves, not publishers, for what is best to teach students. We won’t get any further down this road unless we rely on and trust each other!! Notice each sentence starts with WE! So what thoughts did I have validated…all this is possible with the courage to lead! Don’t just be on a PLC team…BE THE PLC TRIBE! I’m in the process of reading Sir Ken Robinson’s book, The Element, and find his common sense, straight forward, logical thinking a breath of fresh air. The book is primarily about how to find your “Element”, the place in which you are your best self and feel passion and purpose in what you are naturally meant to do. The book outlines several ways in which people have gone about fining their element. Of particular interest to me, was this notion Robinson calls ‘finding your tribe.’ I immediately started to think about the connection a ‘tribe’ has with a ‘PLC’. He says that a crucial component to finding your element, is finding your tribe. What I find so interesting is that he says that it’s not essential for members of a tribe to share the same vision and can either be collaborative or competitive. He explains that what connects a tribe is the ‘common commitment’ they have to doing what they feel they were born to do. Like in the quote above, what a tribe does is validates your belonging to that commitment, inspires you to “raise the bar” of that commitment, and synergy to elevate that commitment together as a tribe to attain what is not otherwise possible alone. I would absolutely say that finding your PLC ‘tribe’ would have “transformative effects on your sense of identity and purpose” both as an individual and as an educational system, if that is what you come looking for. 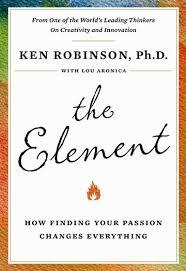 If you find this tribe, Robinson assures us we will also more likely find our “element” where we are creative, dynamic, passionate, and do our most brilliant work. We need to stop looking at a PLC as simply a team we belong to but rather a place we come to be in our “Element’; a tribe where we validate and inspire each other and bring our individual passions and abilities to create a collaborative synergy that elevates the whole tribes work, and each individuals passion, higher then could be achieved alone. This is the type of PLC tribe that impacts student achievement and promotes quality teachers who continually grow and learn out of a desire and drive they feel…because they have found their “Element”! Observe a PLC team next time through the lens of whether they are a tribe or just a team? If your wondering what to look for, here’s a start…they drive their own agendas, push themselves, always question to learn, and put words and thoughts into action to see students growing and learning. They look like a beehive at the height of the honey season…all a buzz, each working seamlessly for the good of the hive and their future potential to be great! If you are part of a PLC team, ask yourself why you are there? Like in the quote above, are you there to validate your belonging to your common commitment? Are you there to inspire each other to “raise the bar” of that commitment? Are you there to be part of the synergy to elevate that commitment together as a tribe to attain what is not otherwise possible alone? My wish for all of you is to find your tribe, be a part of a tribe, and allow your identity and purpose to be transformed. Don’t just be on a PLC team…BE THE PLC TRIBE!